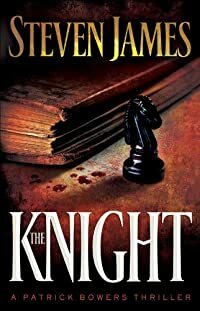 The Knight by Steven James: Synopsis and Online Purchase Options. Synopsis (from the publisher): The stakes have never been higher. FBI Agent Patrick Bowers is used to tracking the country's most dangerous killers, but now it looks like a killer is tracking him. When he realizes the murderer is using clues from a medieval manuscript as a blueprint for his crimes, Bowers faces a race against time to decipher who the next victim will be and to stop the final shocking murder--which he's beginning to believe might be his own.